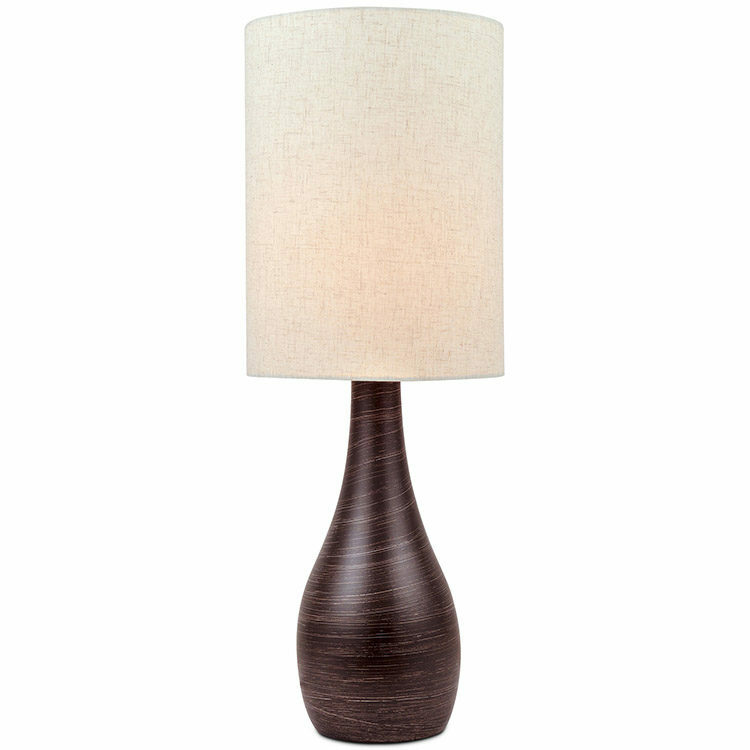 Light up any room in your home with the versatile, mid-century inspired Quatro-III Table Lamp. Quatro-III has a dark bronze metal base with a natural linen drum shade. On/off switch controls light from one up to 23w CFL bulb, standard base.